Parade Tulip | Gurney's Seed & Nursery Co. Enjoy big blooms, up to 6 in. across, from April to May in a bold scarlet-red color with rich black at each base. Stems are strong enough to hold the weight of the large blooms, and grow 20-26 in. tall. 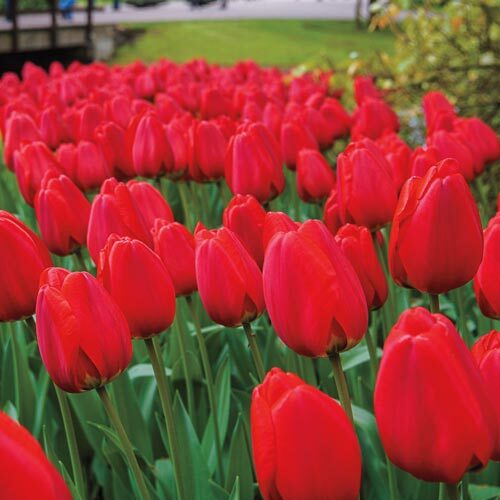 Tulips are easy to grow and require only well-drained soil and a full to part-sun site. Remove spent blooms for best flowering. Zones 3-8. 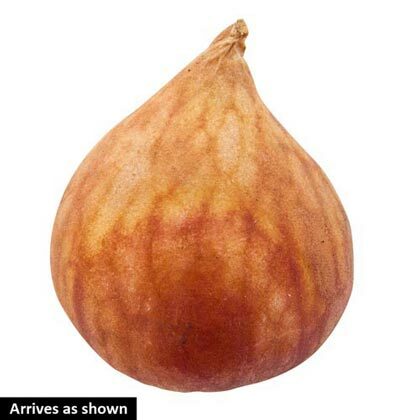 11-12 cm bulbs. Flower FormUpright, bell or funnel shaped blossoms. PruningDead-head. Allow the foliage to die back naturally. CommentsTulips were introduced into Europe from Turkey in 1554 and have figured prominently in floral history ever since. While the fabulous prices paid for a single bulb during Holland's famous 17th century "tulipmania" have never been equaled, there continues to be a strong commitment on the part of growers to create new kinds of hybrids of outstanding merit.